Examining a crime scene is one of the most important parts of a criminal investigation. Essential clues which lead to the perpetrator are found hidden deep within the scene, and it takes a skilled expert to hunt them down. By hiring a Riverside County licensed investigator, you can rest assured that all the pieces of the puzzle will be found. Hundreds of thousands of crimes happen each year. Between burglaries, accidents, homicides, and other offenses, it is impossible to process all the clues contained with the scene without the help of a good Riverside County licensed investigator. The crime scene will be thoroughly examined and the clues contained within it can be presented to a court of law by the investigator to help prove your case. The typical crime scene investigation, when lead by a Riverside County licensed investigator, will consist of a few basic occurrences. 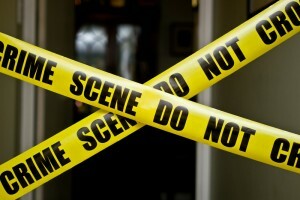 First of all, the investigator will visit the area where the crime occurred and will begin observing the scene. Pictures will be taken, interviews will be conducted, and any important evidence will be collected. Later, tests will be ran on the evidence collected to determine key facts of the case. Most of the time, local law enforcement agencies have their own team of forensic analysts to handle the details of a crime scene. However, you might not always agree with the ultimate findings. In this case, it’s highly beneficial to you to hire a Riverside County licensed investigator to provide a second expert opinion. Crime Lab Analyst – to analyze DNA, trace evidence, etc. Forensic Engineer – to analyze arson, traffic accidents, wrongful death cases, etc. For more information on having a crime scene investigation conducted on your behalf, or to hire a Riverside County licensed investigator immediately, call (951) 344-6306. We provide you with a free initial consultation and price quote for our services.